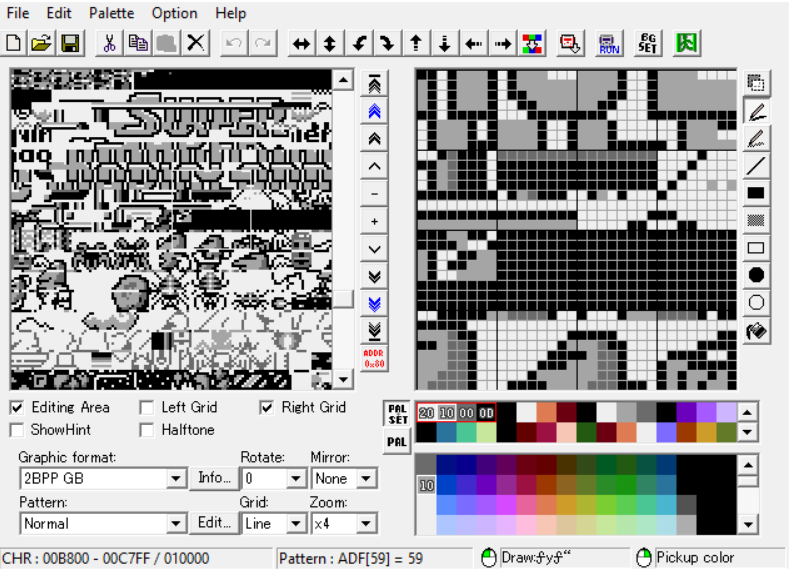 So, I'm hacking Super Mario Land right? I know I can't just call my hack "Super Mario Land", but if I'm going to call it something different, then I should most definitely change the logo graphic on the game's title screen in order to reflect that, of course. I never thought of it as such a big deal at first; I'd imagine that if people can make entire graphical overhauls for this very game, then editing just a single graphic would be the easiest thing ever for me, right?? Well, no. 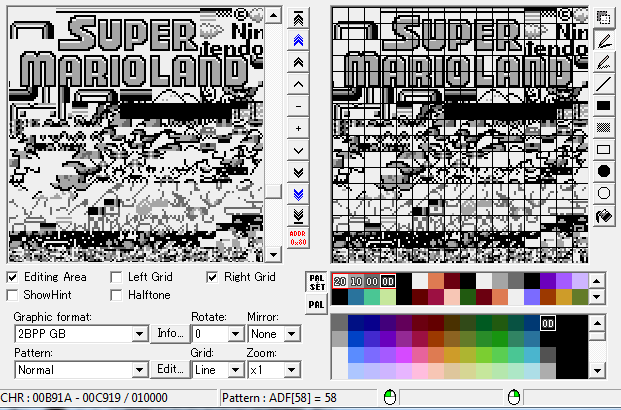 The graphics in Super Mario Land, or at least my rom, were compressed, so now my once confident mindset in regards to hacking SML1's graphics has now been diminished to the point where I don't think it's even possible without screwing something up. Of course, this is where I ask the rom hacking community for potential solutions, because I'd like to believe there is a work around for this issue, hopefully I'm just not aware of it yet. If there is a solution that I'm unaware of, then I'd be very happy to hear about it! I'd greatly appreciate any and all support! The graphics are not compressed, you just need to move forward a few bytes (use the + and - buttons).